The key people who have the responsibility through their good management of the Australian economy to place within our financial reach the price of tickets to go and watch our favourite "Sport Stars" . Salary of the Prime Minister of Australia is A$ 527,852 p.a. Salary of a Judge of the Federal Court of Australia is A$ 360,000 p.a. Isn't it time we set aside our illogical and destructive Marxist ideologies and proudly embrace the values of the Constitution of the Commonwealth of Australia ? Where is Australia's sense of priority ? The average salary of "Sport Stars" is A$ 750,000.00 per annum. 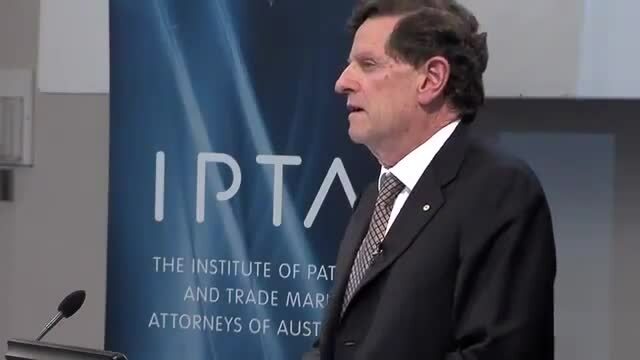 The RIGHTS referred to in the WIPO Convention definition of Intellectual Property Law DO EXIST AS LEGAL RIGHTS by virtue of the ratification by Australia of ALL the provisions of the Berne Convention, including the TRUE DEFINITION of the word "Auteur". A third word - namely "compensation" - CANNOT be added to the TWO WORD expression "JUST TERMS" of Section 51 xxxi of the Constitution of the Commonwealth of Australia to read "Just Terms + Compensation" WITHOUT A REFERENDUM. The spinning wheel of a motorcycle DOES NOT AFFECT the speed of the motorcycle as recorded by a radar gun. The radar gun records the speed of the entire mass of the motorcycle moving laterally in a straight line. The reading of a radar gun is AFFECTED ONLY when another larger vehicle (Bus, Van or Truck) happens to be travelling in the same field as that of the target towards which the radar gun is pointed at. Attempt to take possession of a substantial amount of funds earned by creative and artistic people through their percipience and outstanding business acumen by simply changing the Law !! Lawyers have attempted to replace Traditional Royalties earned by creative and artistic people with "compensation" capped at $ 750,000.00 -- as recommended by the Australian Productivity Commission -- through the punitive damages imposed by the Federal Circuit Court on dishonest people who infringed the IP rights of owners of Intellectual Property (usually in the form of original artistic works). Once upon a time, there was a peasant revolution in Russia. The cause for this revolution was the Russian people's burning ambition for power, and to achieve this they went as far as murdering their Czars to then move into the palaces of the people they had assassinated. What follows is that these people who were born and bred to be subordinates suddenly realized that they were becoming poorer and poorer. As a result of their action, they became worst off than before the revolution. Becoming poorer and poorer was due quite evidently to these people being totally devoid of any productive ability to create wealth. Becoming poorer and poorer made these people very unhappy, and ultimately (in the 1990’s) these people decided to bring in a new set of philosophies and ideals in a bid to better themselves through the introduction of Perestroika and Glasnost. So, they dumped the Marxist philosophies and ideals that were making them so unhappy and embraced Capitalism as an alternative. Through Capitalist philosophies and ideals they were able to make the recognition that only creative people (who in reality are the back bone of a nation) have the ability to create wealth. China did the same … and as a result both Russia and China and now also South Korea to a lesser degree possess the most robust economies in the world. It is to be observed that both China and Russia have not been affected by the same Global Financial Crisis that has affected so many European countries. Life became harder and harder in Australia for creative and productive people who were forced to become idle -- and the cause for this idle state was that these new Marxist philosophies and ideals they had adopted had crippled them ... even though it was widely believed among educated people that only creative people possessed the productive ability to create wealth. 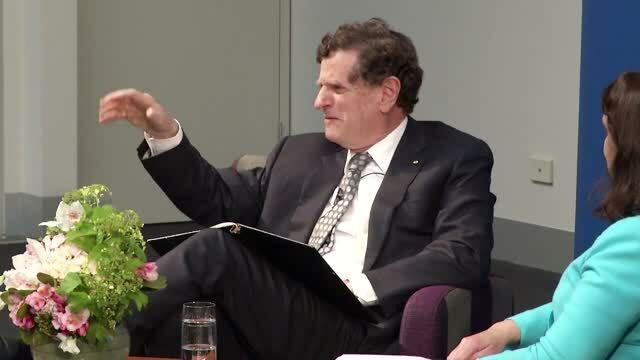 The sad end result caused by these newly adopted Marxist philosophies and ideals, saw the Australian people becoming poorer and poorer and this made them very unhappy just like the Russian and Chinese people had become under Communist rule. A small step forward for the legal profession and a giant step forward for aspiring authors of goodwill worldwide. Elimination to Isolation of the true author's identity. The above video clip which depicts Republican the Hon. 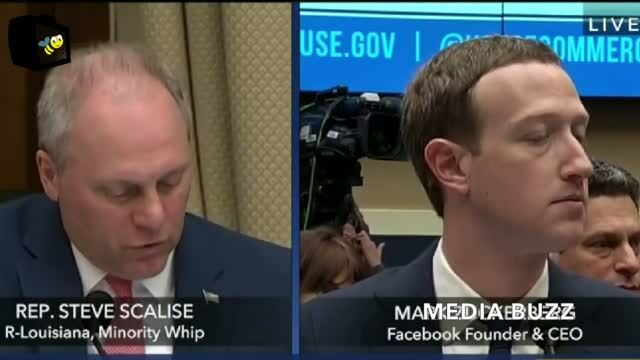 Steve Scalise – Minority Whip from Louisiana – questioning Marc Zuckerberg about the nature of the algorithms of computer algebra that Facebook utilizes, demonstrates that American politicians – UNLIKE AUSTRALIAN LAWYERS – are not only AWARE of the existence of the algorithms of computer algebra, but are also AWARE that the algorithms of computer algebra can be utilized to identify individual people worldwide by means of their likes and dislikes, as well as by their other minor characteristics with pin-point accuracy. My reason for doing so was suspicion at the time of the possibility that I would be denied my royalties entitlement for my creation of the original artistic work, on account of the unconventional manner that had been employed to record the said original artistic work. The work was recorded on a magnetic tape recording device instead of the conventional manuscript in hard copy written form. What followed would certainly affirm the dictum “Necessity is the mother of invention”. As the title suggests, a PLA was designed to be carried out by means of an assessment of the nature of the words which are used by anybody and everybody in speeches, screenplays, court transcripts and court documents, as well as in written media publications. Based on the expressed (as well as the implied) meaning of the words that are used when a person strings together a set of words to form a sentence, a numerical value is allocated to each and every word that a speech or a document in written form consists of. A POSITIVE numerical value is allocated to words which reflect e.g. RELEVANCE, truth, virtue, goodness or merit etc. and a NEGATIVE value is allocated to words which reflect e.g. IRRELEVANCE, EVASION, fallacy, evil, fraud or violence etc. The Federal Court decided to displace and replace the relevant issue that I had brought before the court for adjudication by the court (and not by the respondents) with a secondary side issue that had no pertinence whatsoever to the real issue at point – i.e. that proof of authorship in my original artistic work for the film in question, by means of the ninety-six  sets of key words that I had inserted into the story line for the said film since May 1984, was in fact conclusive. 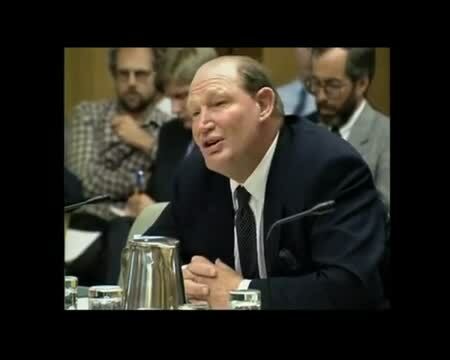 I then successfully employed the same analytical method that I had devised since May 1984 to establish that the judgement issued by the Federal Court in Melbourne Australia, was not only flawed and contained very little substance, but also that it contained elements of perjury and perversion of the course of justice on the part of the lawyer representing the respondents. What is set aside, blocked or discarded altogether by the Heuristics of various computer automated systems that are governed by the algorithms of computer algebra (as demonstrated above) rely essentially on the nature of the words that advertisements and/or news feed are made of. If some particular advertisement/s accumulate a very high sum total of NEGATIVE numerical values, the system would automatically give preference instead to the ones that accumulate a high sum total of POSITIVE numerical values. 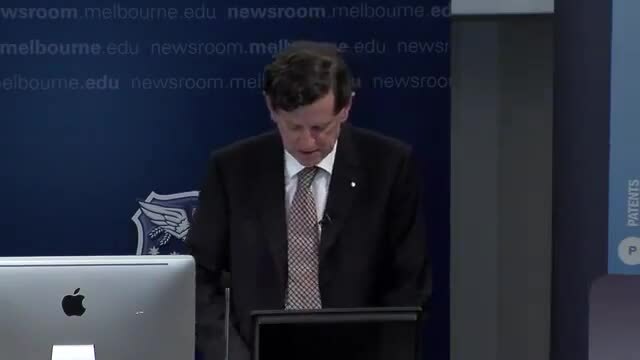 It needs to be noted on the other hand, however, that mainstream media in Australia deliberately places a bias in the same kind of algorithms that they use to control (by filtering) public feed-back to articles they publish and shared on Social Media, to block user comments that are inappropriate, offensive, rude, or of adverse opinion etc. … but most importantly comments that denounce with evidence in support that the subject matter and/or part of the content of the articles being published by mainstream media is/are fallacy/fallacies. Please make a note of the bowler hat that Ben is wearing when Lightning Jack decides to deposit the money that they have legitimately earned in the "safest bank in the state" - metaphorical analogy for the central (reserve) bank. The TRUE AUTHOR does not need to rob a bank to recover his ROYALTIES. His royalties were earned (albeit in fiduciary form) in EXCHANGE for his ORIGINAL ARTISTIC WORK for the film "Crocodile Dundee" since May 1984. The amount of the true author's royalties could not be determined in May 1984 because the future earnings of the film at the box office could not possibly have been known at that point in time ... i.e. - BEFORE the film was actually produced and exhibited worldwide. Every income earned in Australia consists of the TAX PAYABLE component and the BALANCE owing to the Income Earner/Tax Payer. NO INCOME EARNED IN AUSTRALIA COULD POSSIBLY BE TAXED AT THE TAX RATE OF 100 PERCENT !! The Hon. 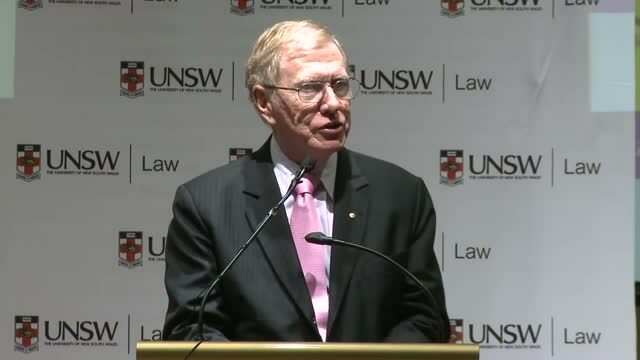 Michael Kirby - Ex Justice of the High Court of Australia. Recovery and Repatriation of Funds defalcated to Secret Bank Accounts in Switzerland. ... and who has been the wind under Australia's wings since May 1984 ? Background music : To avoid audio conflict, it is suggested that the background music installed onto this screen is turned off before viewing the above video. The control button can be found (right here) at the bottom of this screen just below the copyright logo.